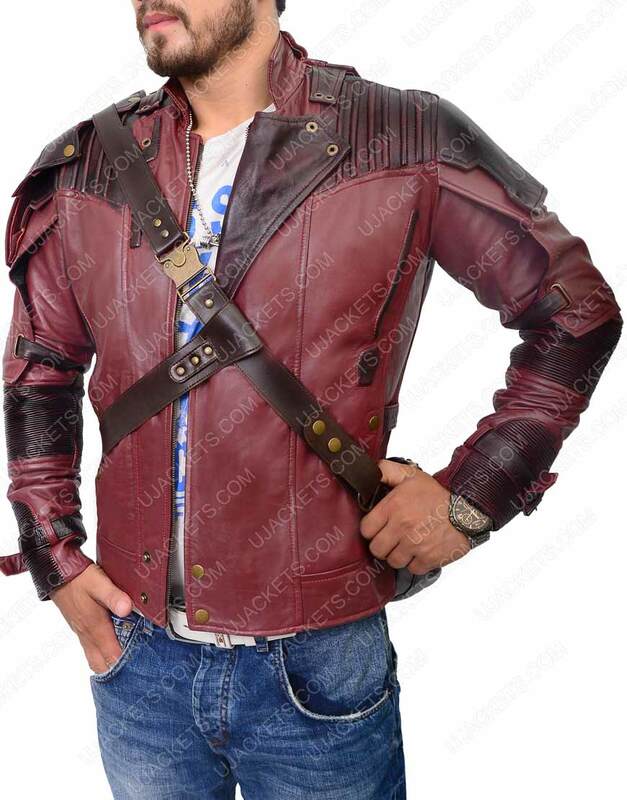 Go on board with your alluring appearance with the fantastic design like no other called as the majestic Star Lord Jacket. Peter Quill is faced with the most daunting task ahead that he needs to fulfill with the help of intergalactic misfits. 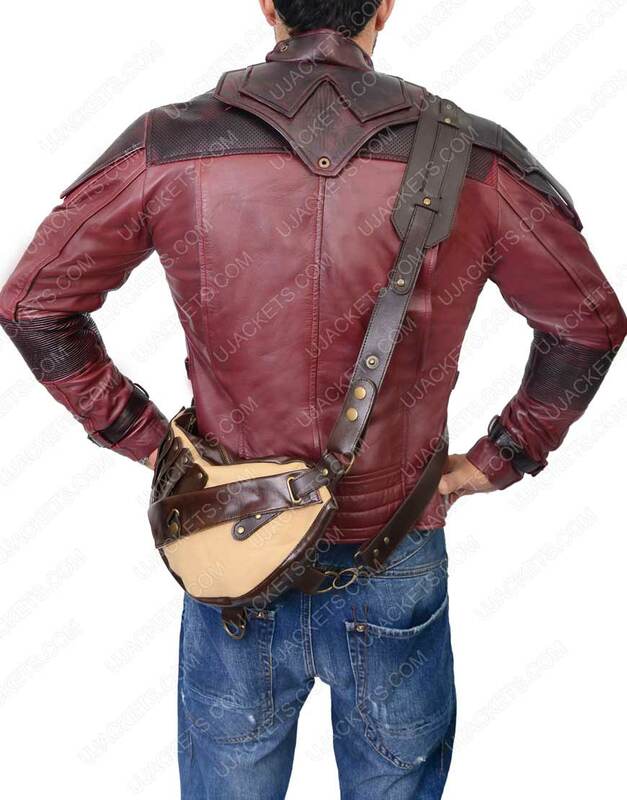 Get a handsome appearance with the alluring design made from genuine/faux leather and viscose lining inside. 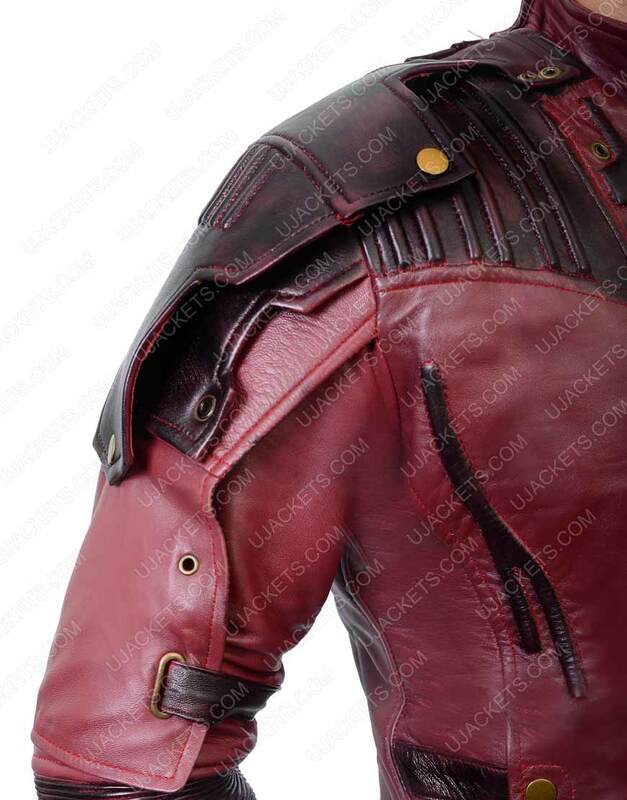 The remarkable aspects of the Star Lord Leather Jacket include netted design on the arms along with the right shoulder epaulet. Furthermore, the padded cuffs and hemline give it an inspirational appearance and premium stitching completes the overall appearance of the jacket. 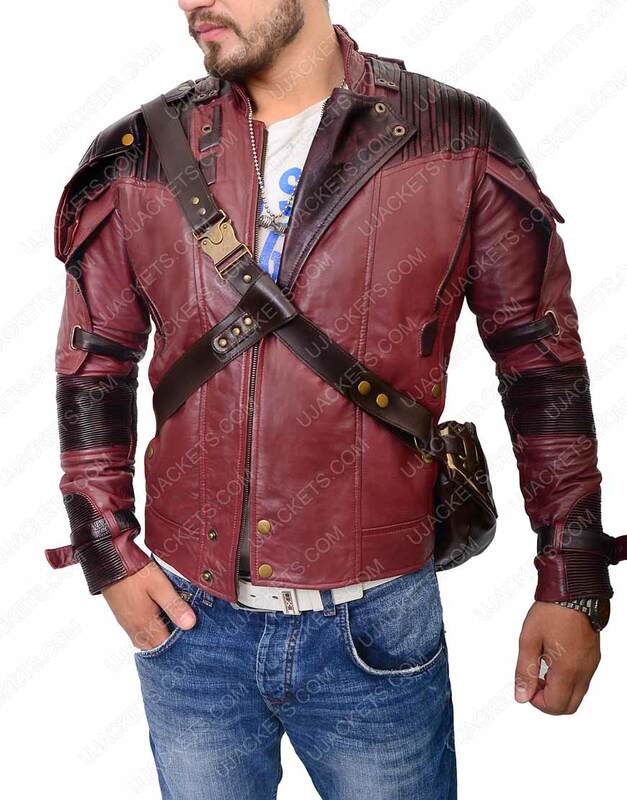 Creatively designed outfit for all fashion lovers I strongly recommend this Peter Quill jacket to everyone because it is a high class fabrication tailored with high precision. 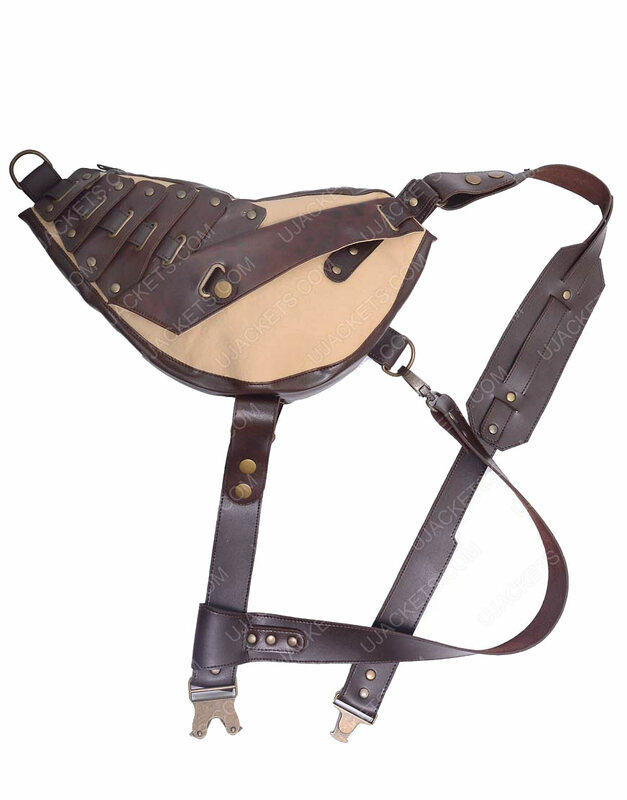 Also very lightweight perfect for your next cosplay, and the most amazing thing is its measurement which fits exact according to your body. 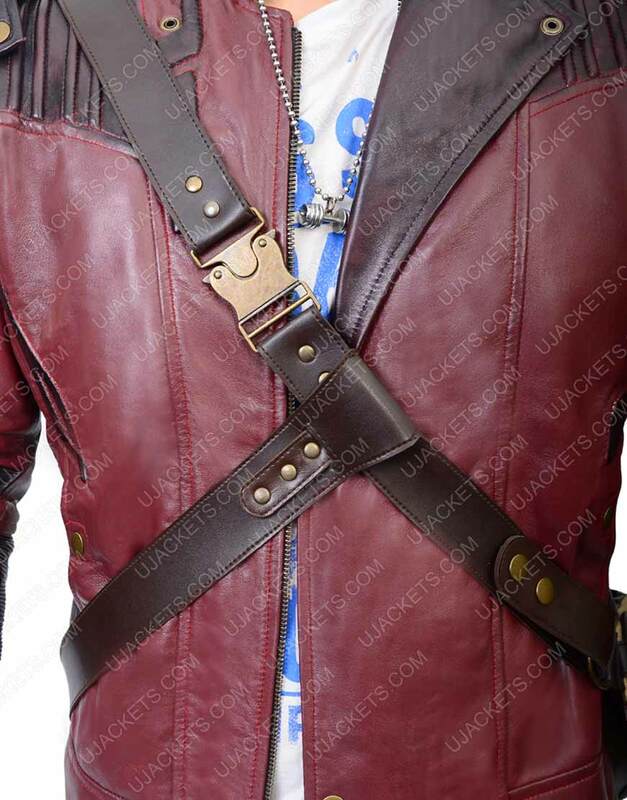 Awesome and High Quality Styled Jacket This uniquely styled jacket gives exact inspiration to be like one of the guardians as in the movie. It is very well fabricated and tailored with high precision . 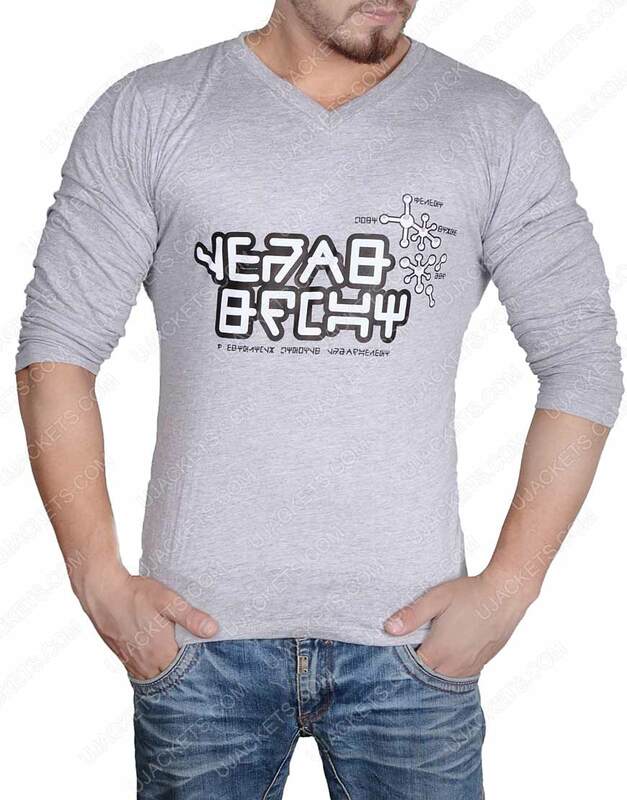 I have ordered it in large size but eventually received in XL size. But i was so amazed to see that it fitted exact to my measurements and looked very elegant. Well persona & best Jacket I really liked the layout of the Ujackets store. As for fit, i got an XL and it fits just fine ( I am 5'10" 160lbs medium build ). 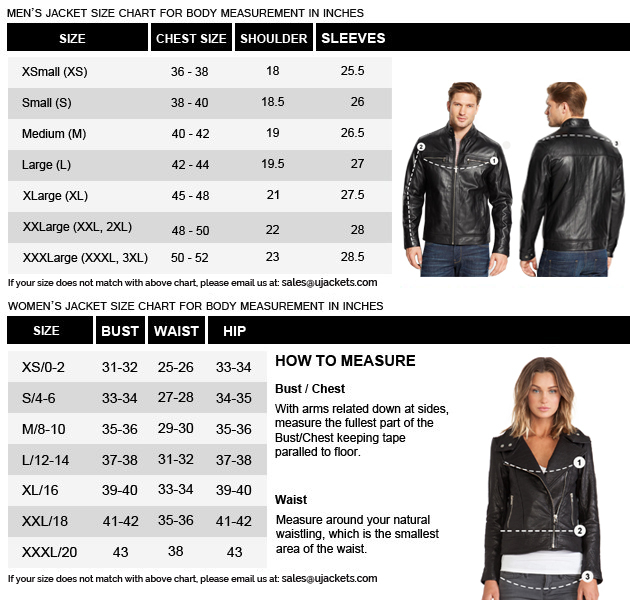 Typically i wear a large for jackets and following the feedback of others, chose to go up a size. This XL fits pretty much like my other large jackets - has room in the body, but is not baggy. Sleeve & body length are just right. I typically wear this with a hoodie underneath and even so. I will definitely look for other products here again when shopping. 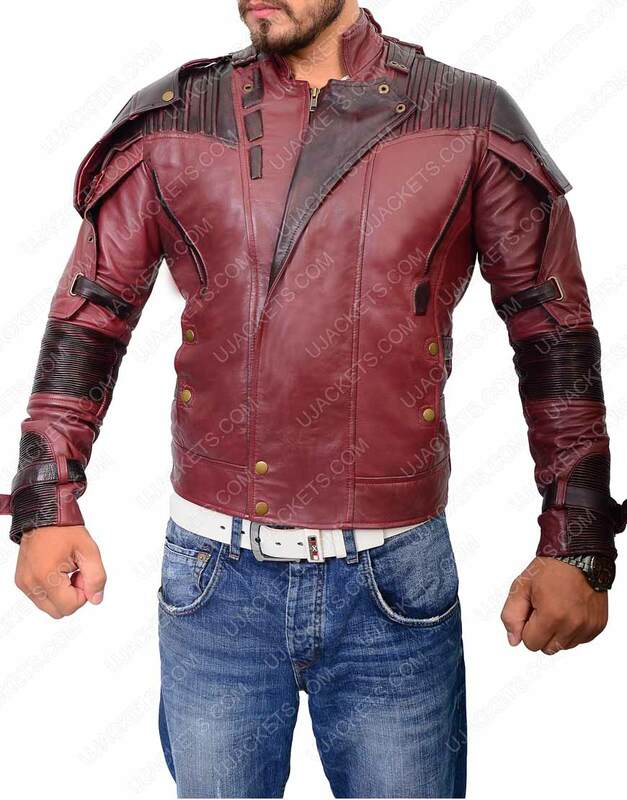 Awesome Jacket & absolutely handsome Look Very well made and good quality soft leather, I ordered a size larger than I usually wear, the quality is just gorgeous, I recommend to buy this one to my friends, I bought a lot of jackets from different companies and sent back. This jacket is 5 Stars. Satisfied by the Quality This outerwear is my fantasy, become reality. The purchase was from the good place as I did so, I was my first time with them, I am very satisfied by the quality of the outfit, the part about is the stretchable piping detail. Best portion of this attire is Sstretchable Appeal. Best portion of this attire is Sstretchable Appeal. The best portion of this attire is stretchable appeal on both arms. The overall appearance of this outerwear is superb. I attire the size M and it fits me according to my measurements pretty well, I am too excited to final do the cosplay in an upcoming event, where I can expand my horizons to great level of enthusiasm.